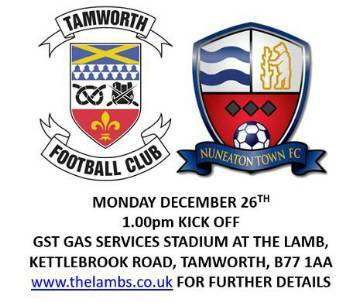 Nuneaton next up at GST Gas Services Stadium! Nuneaton Town are the final opposition of 2016, as we look to end the year on a high, and extend our current unbeaten National League North run to an impressive 9 games. Both performances and results were disappointing against our closest local rivals last season. Andy Morrell rescued a point with a late equaliser in the home game, however the away game was best forgotten, as Nuneaton inflicted a 3-0 defeat over the festive period. Confidence in high in the Lambs camp, as Saturday's 1-1 draw away to Chorley made it 20 points gained from the last 24 available. 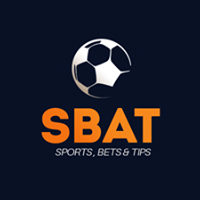 Nuneaton however are slowly improving since the appointment of ex Tamworth striker Tommy Wright as Manager, and have registered consecutive league wins coming in to this game. As always, tickets start from as little as £12 for adults, £7 for concessions, and just £2 for juniors. We need as much support as possible to help us finish 2016 in style, so please spread the word!